This entry was posted in Young PR Pros podcast and tagged podcast, podcasting, pr student, social-media, students by Kristine D'Arbelles. Bookmark the permalink. Hi – my name is Paul Kent and I am the President and CEO of the Greater Halifax Partnership – an organization which is a catalyst for economic growth and confidence in Greater Halifax, the economic hub of Atlantic Canada. 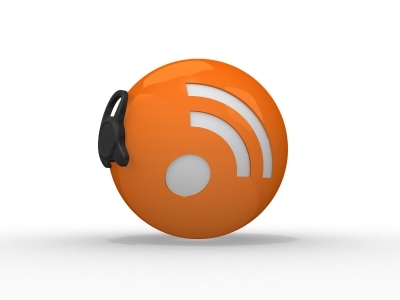 My daughter, Julia (a guest on your first audio podcast) told me of your blog recently. I commend you on it and on the content and value of the ideas you explored in your podcast. I invite you and your blog community to check out our website at http://www.greaterhalifax.com. It contains much information on Halifax and surrounding communities. We are a growing city with much going for it. Of specific relevence to your first podcast is our Connector program which we developed some time ago (look under Programs for more info). Currently we are working with newcomers to our city and region (immigrants, students, etc.) to help them create a supportive network from which they can secure employment, and a place in our community. Your readers also may want to check out Fusion Halifax at http://www.fusionhalifax.ca. we had somthing to do with the creation of this organization a few years back. Today its an impressive assembly of over 3,000 young and emerging professionals who call Halifax their home. They too are an organization dedeciated toconnections and the power of networking. Once again, my compliments on your work dedicated to the new PR professional. Keep it up! Thank you so much for your kind words and comments. Your daughter was a blast to work with and I hope to continue working with her for many episodes. Thanks so much for having me Kristine! Julia raised a great point when she talked about professionalism. I always remind myself that once something is posted it’s out there forever! There is a certain place to talk about being hungover, or discussing your breakup and those places aren’t the internet! I’m also very sarcastic in my day to day life (offline) and I really have to watch myself when I’m tweeting or posting Facebook statuses, because not everyone knows me personally and could take my sarcasm the wrong way. I also have recently created an about.me page and didn’t know about the business cards! Thanks for the tip! Paul you are right, Fusion is a great network for young professionals in the HRM. I’ve been able to attend some of the events and enjoyed them! Yes, the internet is permanent. It is great to hear that you have an about.me page. Now you can add that link to your business card too. Thanks again for coming on the show. We look forward to having you on again! Listening now and I must agree that I too am addicted to social media. Great job on this podcast!! HAHA Julia, not only did your dad comment, but so did my mom. We have got some good cheerleaders don’t we!